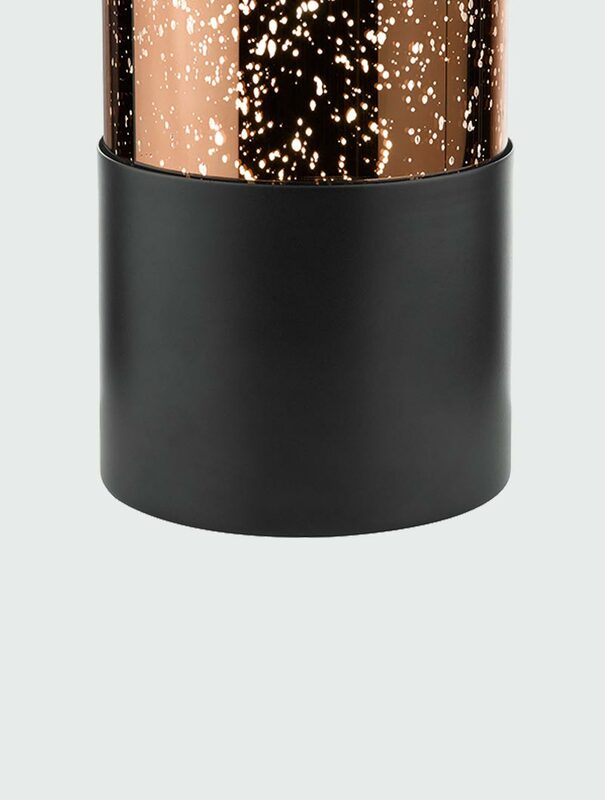 The Alyx table lamp has a matt black base with a distressed polished copper glass cylindrical shade. The base is touch operated, with three adjustable light levels and a black braided cable. Add a beautiful ambient light which provides a focal highlight to any living space. 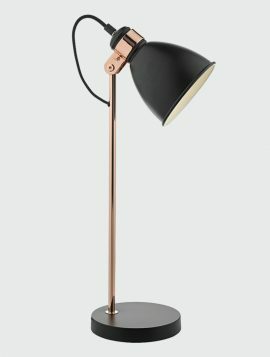 The Frederick table lamp has a soft gloss black finish with a brushed copper stem. 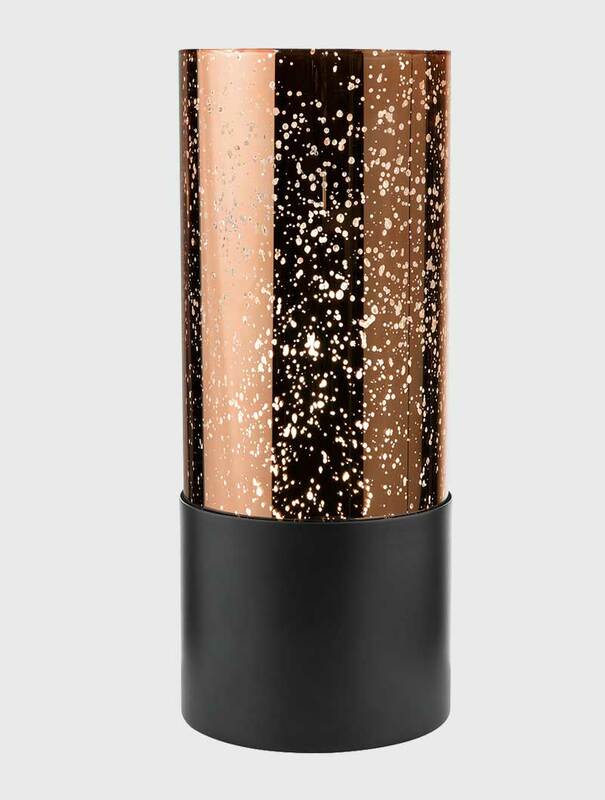 It has an adjustable head meaning you can angle the light in whatever direction you desire. This light features a black braided cable which compliments the colouring of the lamp, with an in-line rocker switch on the cable. Due to its Nordic look and feel, you can add a unique twist to your living space that will bring both style and sophistication to your home. 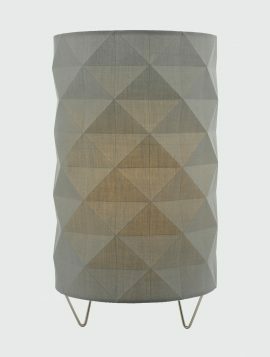 The Aisha table lamp has a geometric bevelled design in a grey cotton fabric. It has a matching grey braided cable with an in-line rocker switch. The Aisha is perfect for either side of a bed, or as a warm glow within a lounge, as they are small and compact meaning they fit comfortably into any space. Also available in: White. Complete the look with the Aisha Pendant. The Bitsy table lamp is slender shabby and chic, with a soft matt white painted finish and a complimenting white cotton tapered shade. This light comes with a white cable with an in-line rocker switch. The soft colouring of this table lamp allows it to sit well with neutral colours and wood washes to create a cosy interior look. 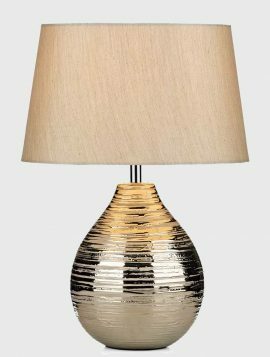 The Gustav table lamp features a silver textured ceramic base and includes a taupe, faux silk tapered drum shade. 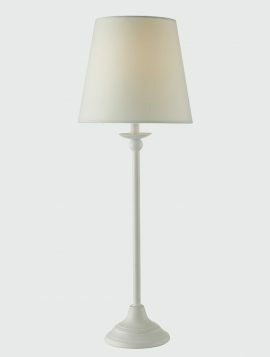 This chic table lamp has a classic yet very contemporary design. The spherical base has been given a textured silver finish to reflect the lamp light, which creates a warm glow to brighten up your home. The faux silk lampshade is a classic neutral colour with a gently grained quality, so it’s neutral enough to easily blend in with any interior design. 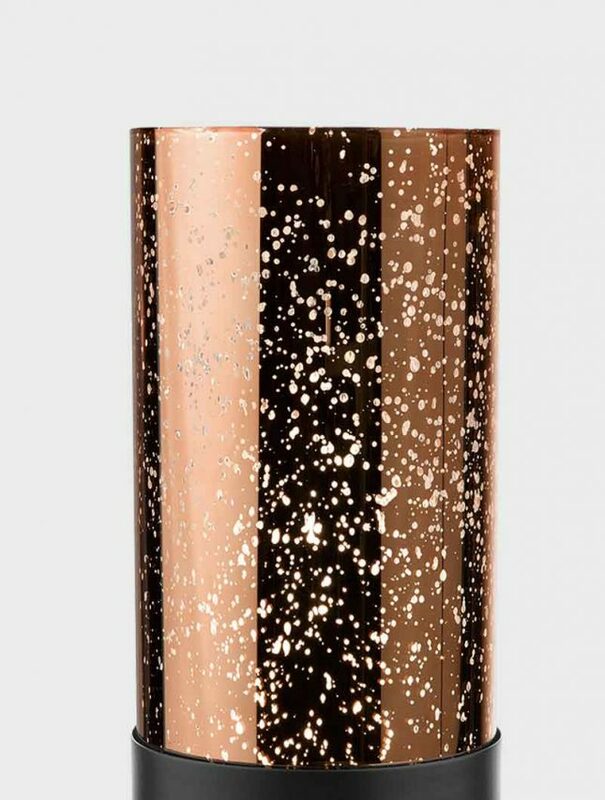 Add a shimmer to your space with the metallic finish of this Gustav table lamp. The table lamp has an in-line rocker switch on the power cable.